Home » Stock Market » How to Invest in USA stock market from India? I want to invest and trade in the USA stock market from India, is it allowed? If yes, how to do that? This question was recently asked by one of the blog readers via e-mail. In this post, let’s try to get answers to this question. Before discussing the actual process of investing and trading in the USA stock market let’s discuss reasons why Indian investors like investing in the US or other foreign exchanges. Why do people invest in US stock market or Foreign exchanges? The many reasons for selecting the USA stock market or foreign exchange for investing and trading. Few of them are given below. Another important factor is diversification. You can diversify your portfolio by investing in the foreign market. Diversification helps investors as it reduces the risk associated with the stock. Let’s try to understand this by example. Suppose Indian stock market is down due to local condition and you are unable to make money. If you have invested in a foreign market you can reduce the risk as the Indian market will not have any effect on the international market. Most of the investor plan to invest in a foreign market due to better prospects. They feel that global companies are good in terms of resources, facilities, standards and government cooperation. Another reason is people want to invest in their favorite companies like Apple, Google, Facebook, Twitter, Amazon etc. As these companies are global companies they are likely to perform better and a chance of earning money is greater. You can find big opportunities in the foreign stock market especially in the USA. Once you start investing outside, there are no boundaries. This will increase the chance of earning a profit. Hope you must be excited and ready to trade and invest in US stock market. Well, here are two methods to invest in stock market abroad. There are few Indian brokers such as ICICI direct, Kotak Securities, India Infoline, Reliance Money and Religare, they have tie up with foreign brokers. These foreign brokers act as an intermediary and execute the trades on your behalf in the foreign market. Follow the process given below. Open a trading account with brokerage house. It is also known as overseas trading account. Submit KYC documents this includes your PAN card and resident proof such as Voter ID card or latest bank statement. Once your account is opened you need to do fund transfer. As per the remittance norms, an Indian citizen can remit up to USD 250000. To get fund in foreign currency you need to submit Form A2. Form A2 is for drawl of foreign exchange and for declaration under FEMA. This form is available with your brokerage house. Once fund are transfer you can start trading at online platform. If you purchase any stock it gets transferred in your Demat account after T+2 days. Up to this time period this share remains in the pool of foreign broker account. Remember margin trading and short selling will not be allowed with foreign broker. You can buy shares if you have sufficient funds. You will receive contract notes for executed trade in your inbox. The second way of investing in US stock market is via foreign brokers. Name of foreign brokers which allows Indian citizen to make investments are Interactive Brokers, TD Ameritrade, Charles Schwab International Account etc. The method of investing under all foreign broker is almost similar. However, the brokerage charge will be different. The current limit of investing outside India by Indian citizen in a single financial year is $250000. This is as per LRS (Liberalised remittance scheme). Thus the maximum permissible investment per person per year is $250000. (Approx 1.7 Cr). As you will be investing in a foreign market you have to be ready to pay higher charges of conversion and brokerage. The brokerage is usually charged in USD. The exchange rate plays a crucial role when you invest in the US stock market. Any fluctuation in dollar rate directly impacts on your profit. You have to be cautious when you invest in foreign stocks. You may not be aware of global factors and economic conditions that directly or indirectly impact the performance of foreign companies and stocks. 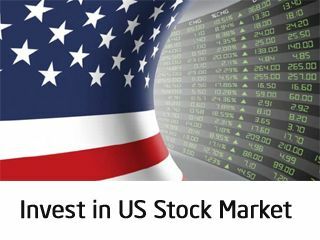 You can invest in US stock market from India and be part of the global economy. However, please note that India is the fastest growing economy in the world. All other international markets are saturated. Investing in the foreign market gives you bigger opportunity to invest in global companies for better prospects and diversification. But, it comes with an additional cost of foreign exchange, a high cost of ownership and risk of global uncertainty.